A recent report revealed there are almost 4,000 laundry and dry-cleaning businesses in Australia, and the value of this sector has grown to $2 billion over the past five years with an annual growth rate of 1.6%. According to the 2016 census, more Australians than ever before are downsizing, and apartment living has increased by 78%. These apartment dwellers are searching for easy-to-use laundry facilities. Profit margins in this industry vary tremendously. But an owner who runs the store well—who keeps it clean, quickly repairs equipment, uses energy-efficient systems, and offers good customer service—will see an average of 35% profit margins. If you enjoy a fresh load of clean laundry and aren’t afraid of a little dirty work, the laundry sector just might be the perfect fit for you. However, not all laundries are the same. 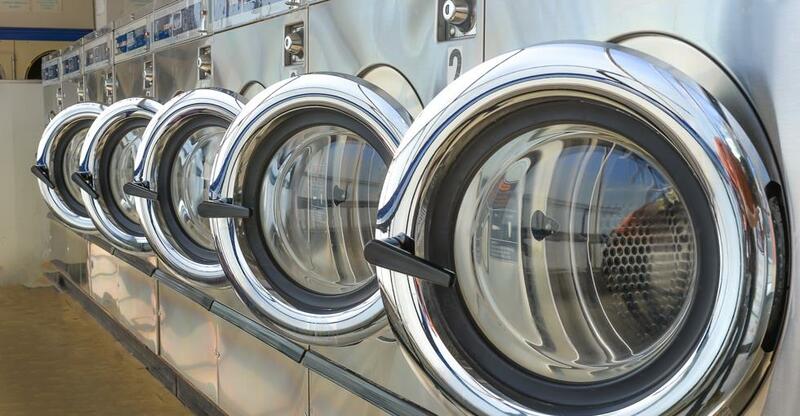 The laundromat industry includes businesses that provide on-site or delivery laundry and dry-cleaning services, as well as those that offer coin-operated, self-serve laundry machines. Soap Bar Launderette is a customer-focused business that strives to make the chore of laundry a fun social event by providing a cafe, games, free wifi, snacks, and massage chairs. This unique strategy appeals to exhausted parents seeking activities to occupy their little children as well as college students getting in some study time during the rinse cycle. Powder Laundry was started several years ago by Jodie and Simon Madden. Branded as “Australia’s first coin-free laundromat,” this franchise is quickly approaching $500,000 in turnover. Their innovative laundromat model offers a high-tech, cash-free way for people to do laundry. In fact, the technology is so advanced, users can start and stop their wash with a tap of their credit cards. Laundromap is a pick-up and drop-off laundry and dry-cleaning service catering to homes and businesses right at their front door. This company meets the needs of busy customers by providing a hassle-free cleaning service at an affordable price. These laundries offer great examples of ways you can deliver a simple service in a new and creative way. Offer games, live music, food, and snacks to help your patrons pass the time. Cater to parents with small children by providing a designated kids’ centre. Create a cafe area where friendly employees serve pastries and coffee. Embrace innovative ideas and new technology by providing free wifi and using energy-efficient, cash-free machines. Your customers will appreciate having a wide variety of services in one location, and the additional perks you provide will result in a bigger profit. So be creative, and don’t be afraid to think outside of the box. Minimal staff requirements: Most laundromats are opened and closed via automatic locking systems and don't necessarily require an on-site attendant, so staff hiring is minimal. No specific experience needed: Basically anyone can enter into the laundromat industry. With enough enthusiasm, interest, creativity, and business savvy, you can achieve success. Dependable income source: A laundromat can be a source of steady income. Regardless of what the economy is doing, people always need clean clothes. Demanding schedule: You are always “on call” and need to be available at a moment’s notice to respond to late-night customer questions and potential machinery breakdowns. Mature market: The industry is what experts describe as a "mature market." Most neighbourhoods already have at least one laundromat, if not several, so location is crucial. And be competitive; offer a bigger, better laundromat with extra services. Hidden fees: Take the time to determine any additional fees the local government will apply to your industry, such as sewer connection “hook-up” fees, as well as impact, tap-on, and wastewater fees. Although a business background and experience in the laundry industry are helpful skills, they aren’t required. Just be sure to do your research by talking to laundry owners, studying your competition, reading trade literature, and joining associations. The laundromat industry is not just about the clothes! First and foremost, it’s a customer-service business. If you want to excel, you must be personable and kind, and you need to hire friendly, approachable staff who will provide superior customer service. The bottom line: Make your laundromat a place where people want to come socialise, a place where the never-ending chore of laundry becomes a little less burdensome and a lot more enjoyable. Ready to sort out which laundromat is right for you? Visit here to get started!